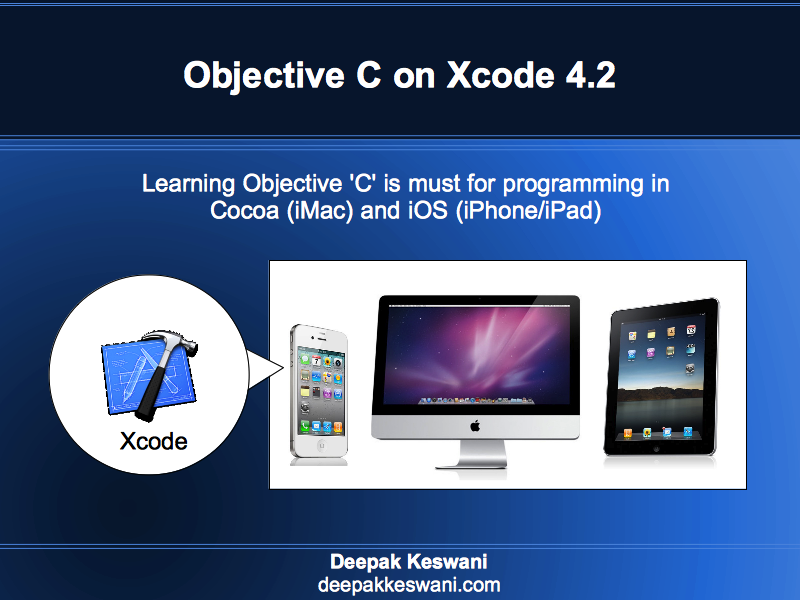 During this event Apple was much careful and didn’t extend with possibilities. This was organised in quite small place with few attendants in its own campus in Cupertino, California. They were not many people and not too many features or products to be covered. They made jokes around their security system to explain OS X Yosemite and iOS 8.1 features. 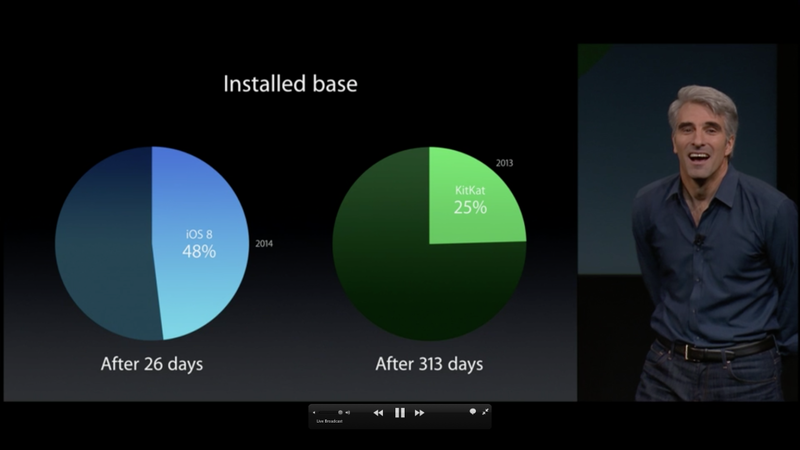 Close to 50% adoption of iOS 8 in 26 days, where as KitKat is still at 25% after 313 days of launch. Number one Tablet seller with highest customer satisfaction rate. There has been more sales of iPads compared to entire line from PC vendors like Dell, HP, Lenovo. 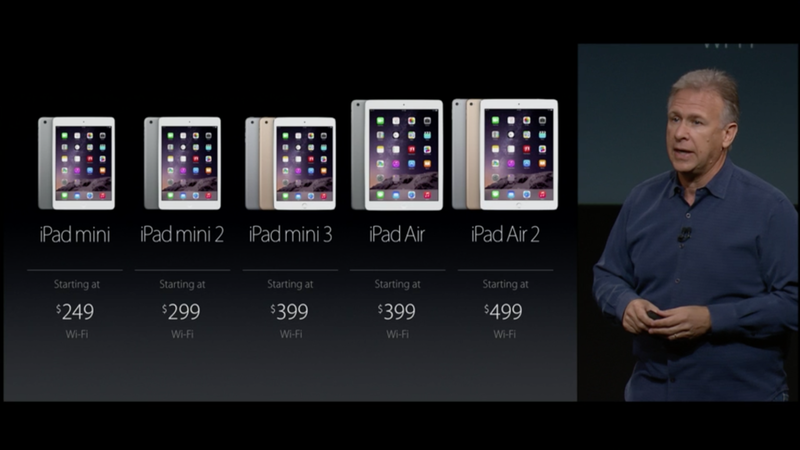 New iPad Air 2 is even slimmer than its predecessor and easier to hold in hand for long. New A8X chip which is believed to be advanced than iPhone 6 or iPhone 6 plus. 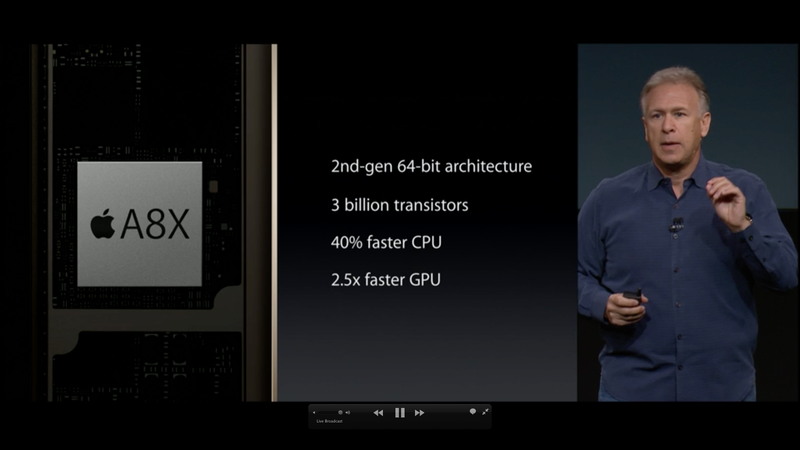 A8X chip is second generation 64 bit CPU custom built by Apple. 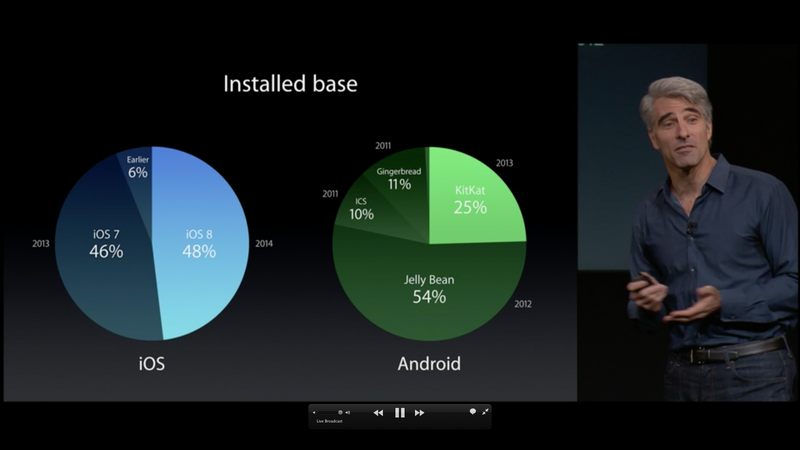 Android devices are yet to catch up with 64 bit processing. This brings great processing power in the hands of user in the form of tablet. Apple ID, fingerprint biometric home button to unlock and authorise some apps. Apple Pay may work with online payments through these iPads, but wont work on POS terminals in store. Instant hollywood like video effects were applied on iPad with Replay app. These new iPads will be available for sale soon from Apple store. With so much of variety from Apple. One Apple product can cannibalise others sales, but wont let consumer go to competitor. They were careful because of this and didn’t talk much about iPad mini specs of features. Apple is playing same iPhone trick here with iPads, by skipping 32 GB models and directly providing 64 GB after 32 GB model with 100$ more. 4K displays were expected from long from Apple after the launch of Mac Pro which allows to do 4K video editing. New iMac 27 inch totally changes the market perspective with more resolution than 4K. It sets aside the iMac in 4K TV / Monitor competition. Now there are 4X more pixels on the same 27 inch display. 1TB of fusion drive which is mix of classic HDD storage and SSD in combination. 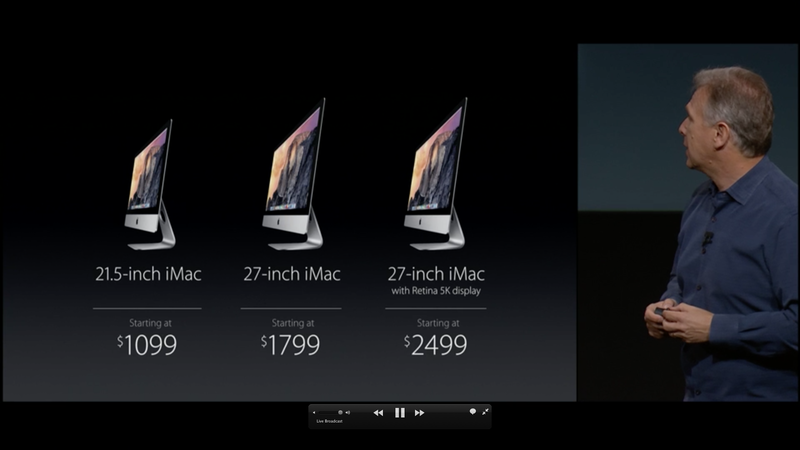 With these kind of specs and pricing as $2499, it is doubtful if anybody will go for regular 27 inch iMac. 5K display and processing power puts leap ahead in power to user. Confusion part is for the people who have purchased Mac Pro for 4K editing do not have any 4K display solution from Apple. 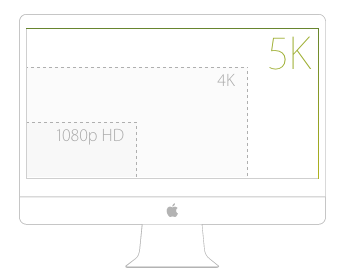 It was expected that Apple will also announce something around 4K in thunderbolt displays. As nothing is so far announced about 4K thunderbolt displays, Mac Pro machine owners have to rely on other 4K monitor vendors. 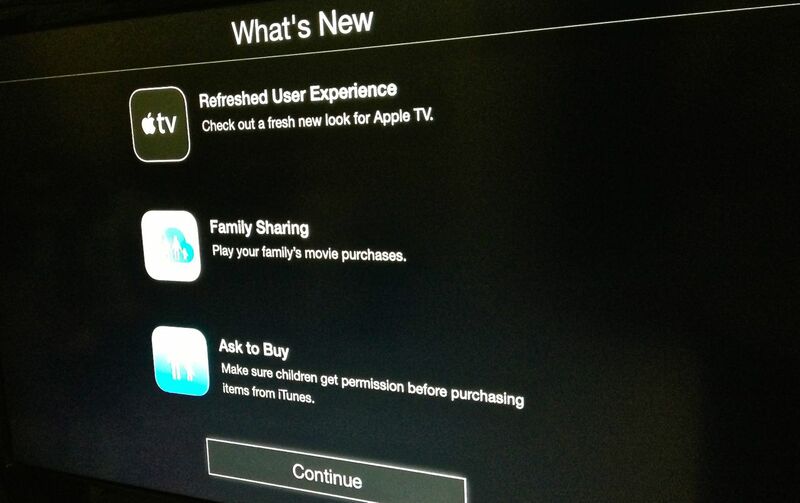 There isn’t much about Apple TV where update is awaited from last 3 years. It seems Apple is working on really big in that area like they worked with Apple watch for so long. 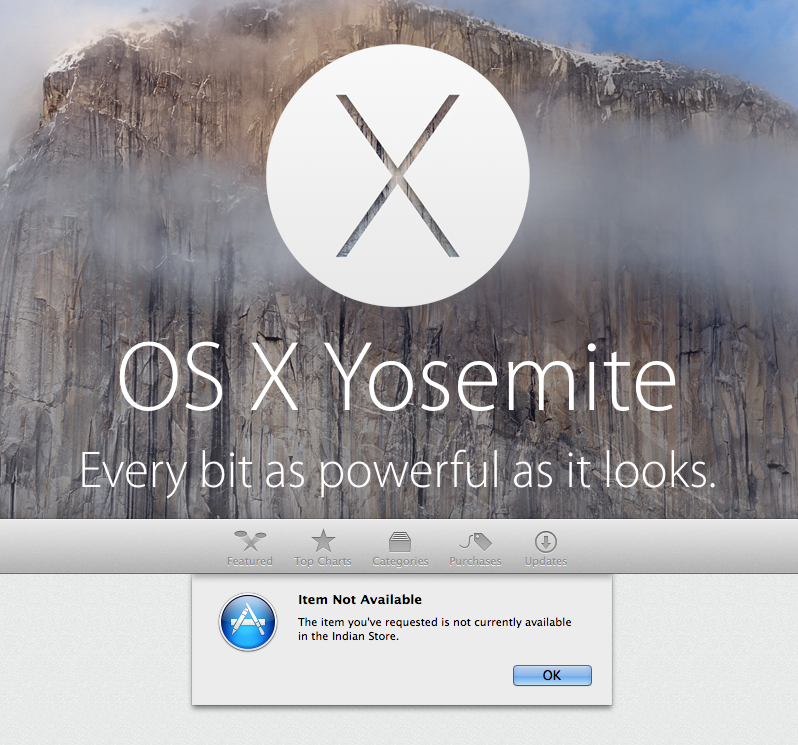 Tough it was announced that OS X Yosemite is available for update, Indian app store didn’t allow that.